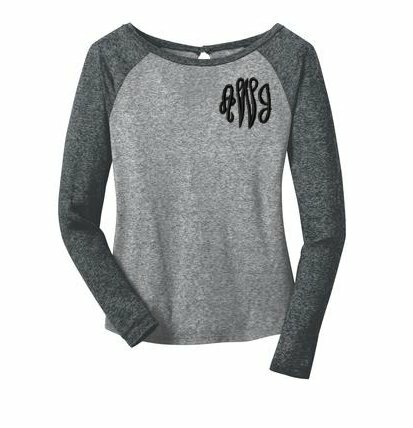 A Raglan Tee on a burnout fabric is so popular with teens and this one is oh so special when you add a monogram. 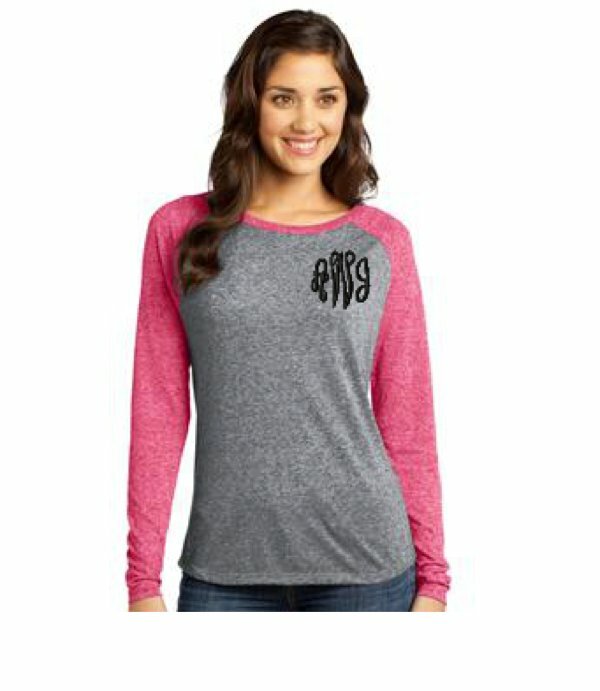 This long sleeve tee comes in 3 colors and sized from xsmall to 4XL. 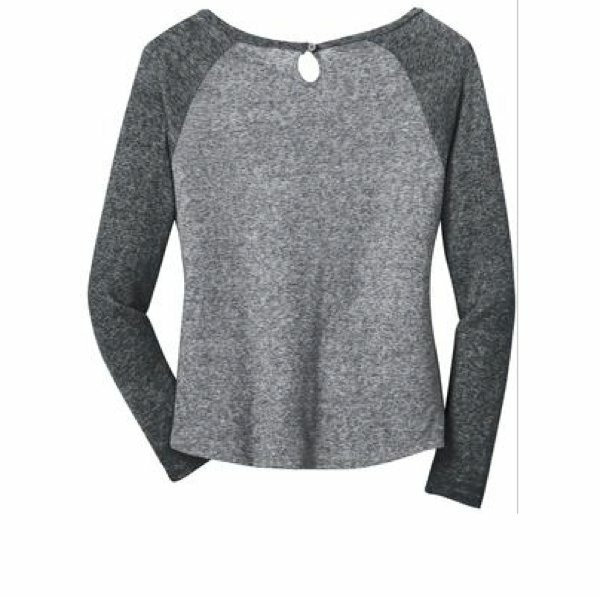 Customer ratings: 7.0 out of 10 based on 2 ratings.